Posted on Sun, Feb 5, 2012 : 5:55 a.m.
Have “Breakfast with PAWS,” the Detroit Tigers’ official mascot at St. Mary's Catholic Parish in Pinckney . 8:30 to 11 a.m. Paws will be there 10 to 11 a.m. The menu includes fried or scrambled eggs, hash browns, biscuits and gravy, French toast, pancakes, quiche, ham, pork sausage and the renowned “waffle station.” Get those cameras ready for an event the whole family will enjoy. The church is at 10601 Dexter Pinckney Road, Pinckney. 734-878-3161. 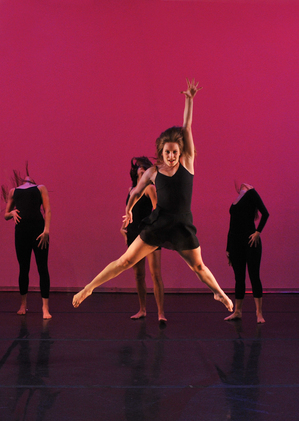 Today is the last chance to see “Dancelucent 2012” at the University of Michigan's Power Center. All are welcome to celebrate “Tu B'Shevat” with the Jewish Cultural Society at the Matthaei Botanical Gardens . 10 a.m. to noon. Tu B'Shevat is the Jewish celebration of the "New Year for the Trees." There are fun activities for kids and stimulating discussions and opportunities for adults to learn about Tu B'Shevat and the natural environment. The Ecology Center invites you to bring in your children's toys for toxicity testing. Free, but, there is now metered parking at the botanical gardens. The Gardens are at 1800 N. Dixboro Road, Ann Arbor. 734-647-7600. Today is the last chance to see “Dancelucent 2012” at the Power Center. 2 p.m. Enjoy an evening of three works by Bill DeYoung, Peter Sparling and Robin Wilson, and a restaging of Dance #1 from Lucinda Childs’ groundbreaking 1979 work Dance. $26 and $20 for reserved seating; $10 for students with ID. Order tickets by phone at 734-764-2538 or online at www.music.umich.edu. The Power Center is at 121 Fletcher St., Ann Arbor. 734-763-3333. Join in the fun at Super Bowl XLVI watching parties at both the Arbor Brewing Company and Corner Brewery . ABC will host 4 to 10 p.m. The Corner will host 6 to 10 p.m. At ABC, watch the game in the Game Room. A tailgating themed menu will be featured. At the Corner, enjoy happy hour prices during the game and not-cho burgers from the kitchen. No cover. ABC is at 114 E. Washington St., Ann Arbor. 734-213-1393. The Corner is at 720 Norris St., Ypsilanti. 734-480-2739.